I think I need to set the record straight: We are NOT the same person. I allow her to write about me. Well, actually, we're friends. Did you ever have an invisible playmate? It's that sort of relationship. She's invisible. Joanna, that is. Yes, we have a lot in common. We both have naturally curly hair. I mean, would we pay to have perms like this? Not likely. One of the characters in a "Peanuts" cartoon said that naturally curly hair is a sign of genetic superiority. Joanna and I agree about this. Now you know. We both love to do crafts, although I'm much better at it than she is. She's coming along. And we're both really messy when we do. 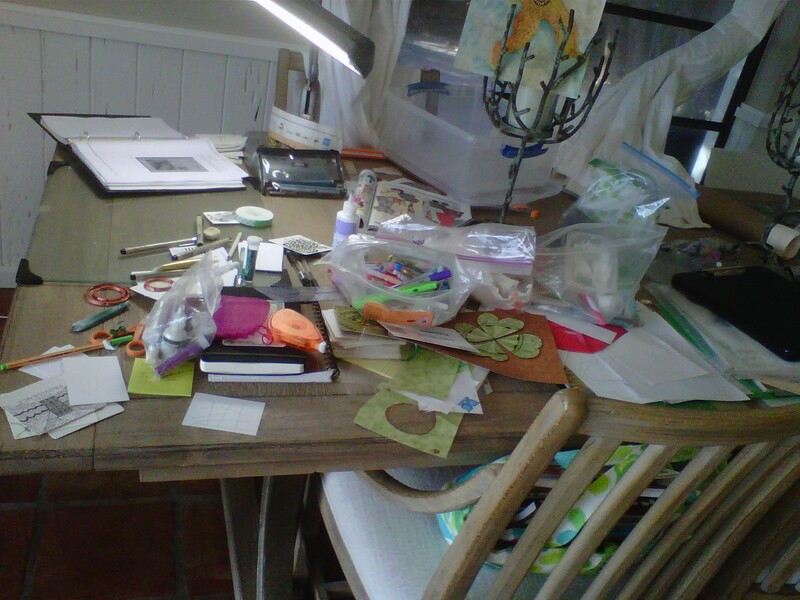 See her dining room table? Is that a disaster or what? I, at least, contain my messes to Time in a Bottle, the scrapbook store where I work. 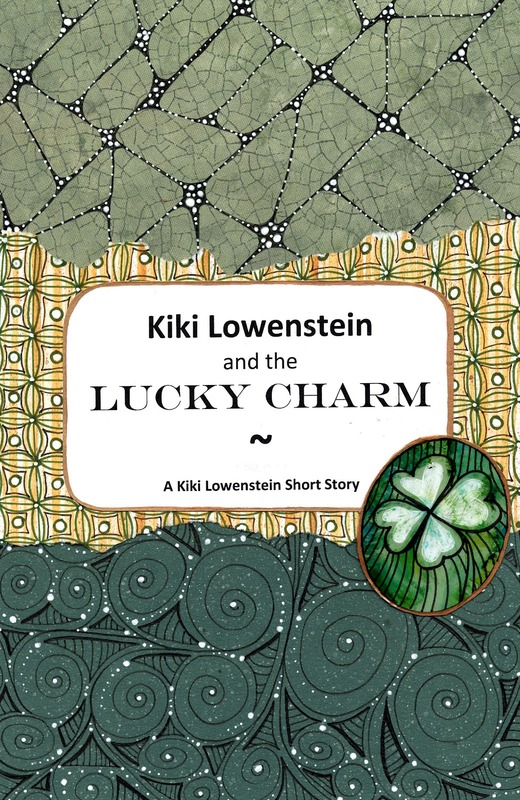 Not only is it a fun mystery, but "Kiki Lowenstein and the Lucky Charm" includes three recipes, three craft projects and a downloadable string on which you can do a Zentangle design. The cover is filled with Zentangle designs that Joanna did, see? Meanwhile, Joanna and I both are celebrating the upcoming release of my next adventure--Ready, Scrap, Shoot. The actual release date is April, but a few stores have already been shipped their copies. I hope she gets cracking on making our bookmarks. Sigh. I have to nag her about things like that. After reading our new book, Kirkus Reviews said, "Slan's mysteries are most valuable for the well-developed characters and the issues they raise, in this case the hardships of caring for elderly parents." RT Book Reviews gave it four stars, and said, "Kiki is so darn entertaining she'll keep readers hooked through the shootout at the end....A fast-paced, nail-biting ride." One last point: Joanna has never, ever been in a shootout. Trust me. If she had, she would have blogged about it! That woman canNOT keep a secret! Well, who could keep being shot at a secret, I ask you! Sounds like a great read. I'm glad you allow Joanna to write your stories and I'm looking forward to Ready, Scrap, Shoot. 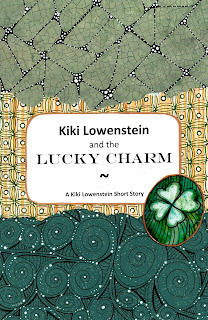 I enjoyed your short stories and my favorite was "Lucky Charm" as you introduced us to Aunt Penney who is a hoot. I will spring for,the short story. . . LOL! I am jealous of your scrapbook store because my crafting tends to look like Joanna's table as well. I used to have a scrapbook room, but now that I live with and care for my elderly Mom, I have to craft where I can when I can! I look forward to reading your latest adventure as soon as my bookstore gets their copy! Ah, gosh, and Joanna is not up to her usual standards of proofreading lately. GEEZ, she had to correct my last name in the title! Well, I'm glad all of you didn't fuss about that. Maureen, I hope you'll take time to craft while taking care of your mother. That's a stressful job--and time for you will make a difference. I know because in Ready, Scrap, Shoot, I have to care for my elderly mother, and she's a handful. Dru, what do you think? 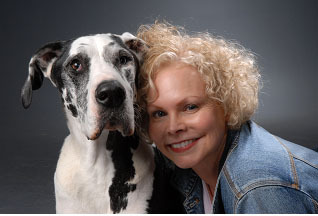 Should Aunt Penney become a regular part of the cast of characters in the Kiki Lowenstein series?